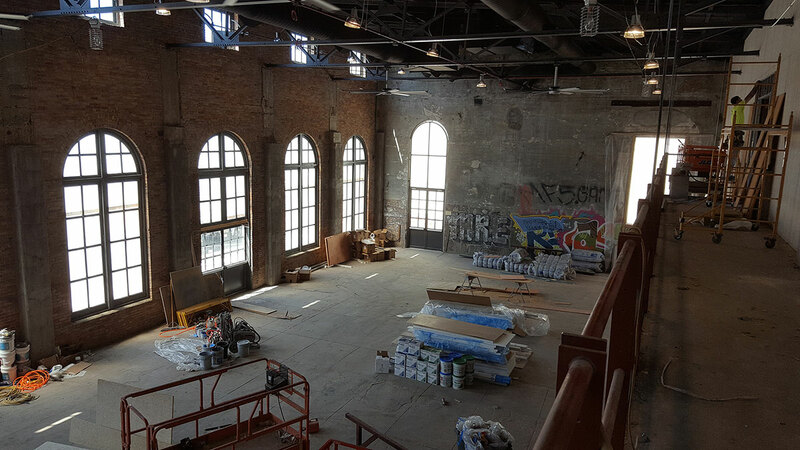 Our First Look at The Steam Plant Renovation - Edge Webware, Inc. I was introduced to the Dayton Steam Plant renovation through Lisa Beam at a Women In Business Network Koffee Talk. From the very beginning, this venture piqued my interest. It seemed like an exciting contribution to the city of Dayton. A few days later, I did a little digging and found a two articles, one from the Dayton Daily News, the other from the Dayton Business Journal, that provided additional information and a video of the existing progress and what the building would look like once finished. Lisa and I later met for coffee, and I continued to be intrigued. Lisa, who is helping with event sales and operations, shared that the owner, John Riazzi of St. Peter Partners LLC., originally purchased the building to move his existing offices into. Later, he decided to do even more with the space as it lends itself to a natural event venue. By the end of our chat, we discussed having a tour of the facility. Leaving that discussion sold on the potential of the space and the vision portrayed, Jerritte Couture and I discussed the project with some trusted business partners. They were quickly interested in learning more about the location, so we set up a walk-through. As a group we toured The Steam Plant and were blown away! We were greeted by a building full of character still boasting many of the original features, including a main room with soaring ceilings, a spacious balcony that overlooked the main reception area, and gorgeous windows that flooded the room with natural lighting. Several other sections of the building can be used for a variety of purposes and have their own unique charm. Careful thought was also put into the outside of the building as well, where visitors have access to ample gated parking and a green area to enjoy the outdoors. Continuing to walk through the building, our imaginations reeled with the many ways The Steam Plant could be used. Weddings are clearly a perfect fit. The venue is also a natural option for major wedding anniversaries, family reunions, class reunions, and engagement parties. However, business use opportunities abound as well. Year-end parties, awards ceremonies, expos, and networking events come to mind effortlessly. As a local business, it is encouraging to see several businesses investing in downtown Dayton. 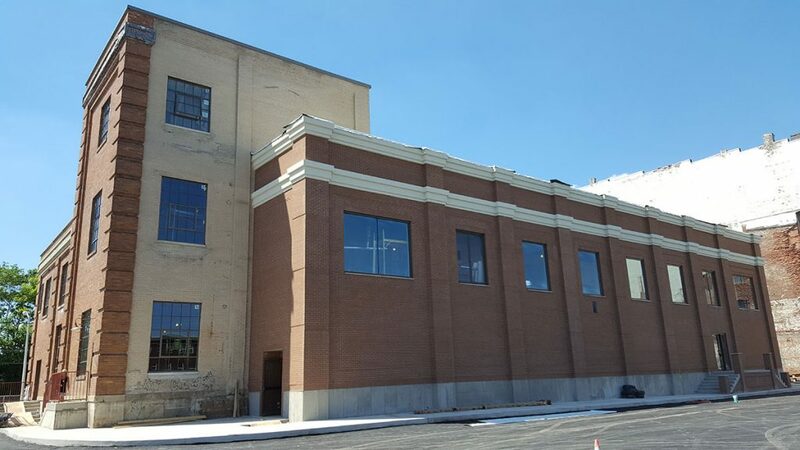 We’re inspired to see that individuals are not simply building new buildings, but they’re renovating classic buildings that highlight Dayton’s history and exude character that’s difficult to replicate. The 110 year old Dayton Steam Plant while modern in its renovation and amenities pays homage to the history and integrity of the building. Edge Webware is thrilled to come alongside this effort and help this project be successful, even if that just means spreading the word. Check out their website to keep up on the renovation progress at http://www.steamplantdayton.com. Lisa is a rock star people and project manager. She spent nearly 21 years in corporate America where she developed an impressive career in sales, earning awards and exceeding goals year after relentless year.Lisa heads up Edge Webware's Sales and Operations, taking us to new heights with sales goals and process improvement. © 2019 Edge Webware, Inc.
// Designed and Developed by the Ninjas here!